The Federal Reserve, like most central banks around the world, conducts monetary policy by managing interest rates. From the mid-1980s through the 1990s, interest rate control seemed to work well, helping the Fed achieve and maintain stable inflation and paving the way for robust growth in income and jobs as well. Recent events, however, raise doubts about this approach. More than eight years after the Fed lowered short-term interest rates to zero, inflation still hasn’t returned fully to target. And the Fed’s efforts to bring long-term interest rates down through large-scale purchases of longer-maturity bonds has left its balance sheet bloated and exposed its portfolio to capital losses should interest rates rise again in the future. This experience demands a rethink about the way that monetary policy should be conducted. Better outcomes might follow if the Fed returned to managing the money supply and left interest rates to fluctuate in free markets that efficiently coordinate private saving and investment flows. Key to understanding how Federal Reserve policy worked in better times is to recognize that changes in interest rates affect inflation only to the extent that they also yield changes in the money supply. Before the financial crisis, when the Fed wanted to lower its target for short-term interest rates, it conducted open market operations to purchase short-term government bonds. These open market operations put direct downward pressure on short-term interest rates, but also added reserves to the banking system. The increased supply of reserves then worked to speed up the growth rate of bank loans and deposits. Growth in broad measures of money that include bank deposits then increased, causing inflation to accelerate as well. Conversely, when the Fed raised its target for short-term interest rates, it did so through open market sales that drained reserves from the banking system, causing money growth and inflation to slow. Reliable links between interest rates and money growth break down, however, during periods when the public’s expectations of inflation become unstable. During the 1970s, for example, high interest rates did not signal that monetary policy was excessively tight. To the contrary, interest rates were driven higher by the public’s expectation of rising inflation that was, in turn, the effect of excessive money growth. Likewise, during the Great Depression, very low interest rates were not a sign of loose monetary policy. Instead, they were the product of deflation caused by outright monetary contraction. Something similar may be happening today. Do the very low interest rates we’re seen since 2008 really reflect monetary policy that is fully accommodative? If so, then why has inflation remained so low? Perhaps those low rates reflect lingering fears of deflationary stagnation that the Fed might accommodate passively, just as it did during the Depression. Is the Fed’s current interest rate target, just below one percent, indicative of a policy that’s much to easy … or too tight? It’s truly hard to know! Besides giving rise to ambiguity regarding the stance of monetary policy – loose or tight – recent experience highlights a second problem with interest rate policy: it encourages government interference in capital markets that would function more efficiently if left to operate on their own. 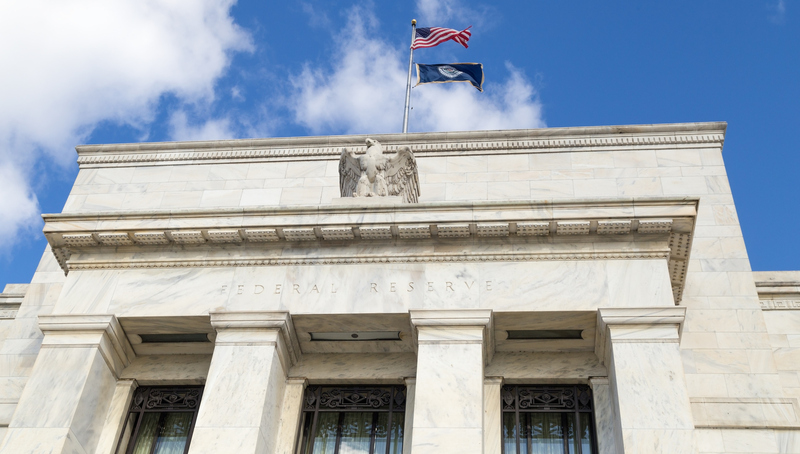 Once the Fed brought short-term interest rates down to zero at the end of 2008, it seemed natural for it to take the next step of using large-scale purchases of longer-maturity bonds to put further downward pressure on longer-term interest rates. In doing so, however, the Fed turned its attention away from using money supply to control inflation, the rate of change in the dollar price of goods, and attempted instead of influence long-term yields, or equivalently, the dollar price of bonds. The risk in that approach is clear: by inhibiting the role that asset prices play in aggregating and communicating information to borrowers and lenders, Fed intervention may distort saving and investment decisions that are key to our economy’s long-run growth. Years ago, Milton Friedman advocated a monetary policy strategy through which the Fed would simply keep the money supply growing at a constant rate, and eschew fine-tuning and credit market intervention through interest rate control. This strategy is far from optimal in an ideal world, were policymakers have enough knowledge of the economy’s structure to skillfully offset every shock that can possibly occur. It aims, instead, to prevent large policy mistakes from happening in the real world, where information is limited and knowledge incomplete. Macroeconomists have learned much more about monetary policy and its effects since Friedman’s day, but recent experiences with undesirably slow inflation and continued credit market dysfunction suggest strongly that successful fine-tuning and financial market intervention are still more dream than reality – and perhaps they always will be. The Fed has to be realistic: Friedman’s prescription for price stability through constant money growth remains an attractive alternative today.